The day has arrived when Windows 7 is finally being used on more computers that Microsoft' Vista operating system, a mere ten months after Windows 7 was released to the public last October. 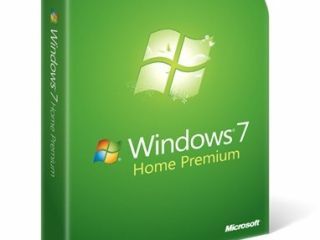 Microsoft's Windows 7 operating system currently has 14.46 per cent of global market share, overtaking Microsoft's previous operating system Vista, which currently has 14.34 per cent according to the latest figures from Net Applications. However, Windows XP still leads the way, by a country mile, with over 61.97 per cent of the global market share of PC operating systems. Microsoft's nine-year-old operating system has dominated the PC experience for most over the last decade, with Vista never managing to top more than 20 per cent of the global market for PC operating systems. XP has proven to be persistently acceptable to the vast majority of users over the last decade, with many clearly choosing to pass Vista by. In other OS news, Apple's Mac OS X holds around five per cent of the global market, while Linux holds around one per cent of the market and Apple's iOS for iPhone and iPad has grown over the last month to hold 0.7 per cent of the global market.